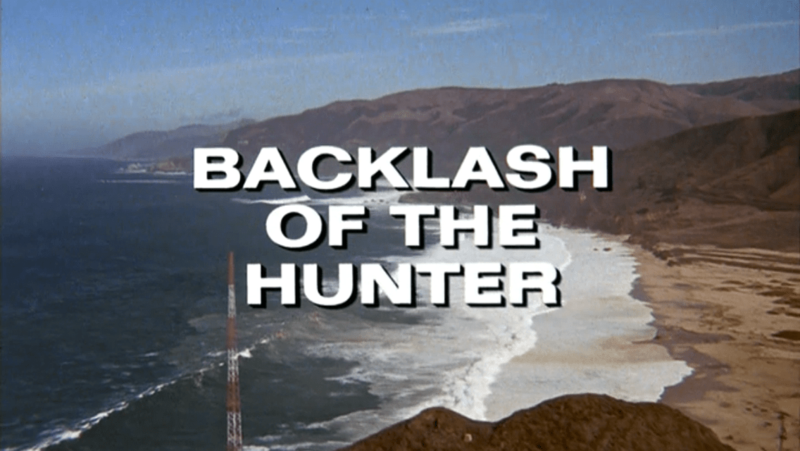 “Backlash of the Hunter” is the movie-length pilot for the TV serial, “The Rockford Files,” which ran for six seasons beginning in 1974. The pilot aired on Mar. 27 of that year, while the first season didn’t kick off until September. For syndication purposes, “Backlash of the Hunter” is split into two parts and treated as two regular season show episodes. However, there are a couple of subtle differences that distinguish this pilot from subsequent episodes. Backlash of the Hunter opens with a 90 second panorama of tanned coastal mountains, blue-green ocean, and frothy white sea-foam, accompanied by the slow strains of a mournful Charlie Parker-sounding horn, establishing a mood of Pacific blue noir that suggests a tragic ending is in the cards. The sweep of the camera eventually settles on a pier and burrows into its dank underside, a perfect place to put somebody’s lights out for good with no witnesses. It’s the end of the line for the old man. We cut to a police station, where a couple of detectives are giving a batch of unsolved murder files one last gander before consigning them to oblivion. “How about this wino they found under the pier?” the superior officer asks his junior. “You got anything solid?’ the superior probes. “I got a FEELING! I got a HUNCH!” Dennis persists. “Dump it,” says the superior, unpersuaded. 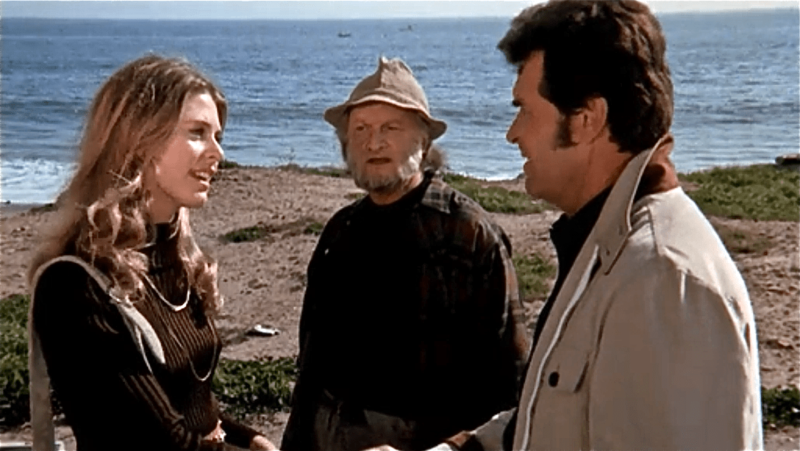 With the case now officially cold, the action hard cuts to a bikini shop whose proprietor, Sara Butler, played by a 24-year old Lindsay Wagner, opens the Yellow Pages and locates the ad for one Jim Rockford, private investigator specializing in closed cases. It’s not hard to see why Lindsay Wagner was given the role of Jamie Sommers in the Bionic Woman after this performance. ROCKY?? 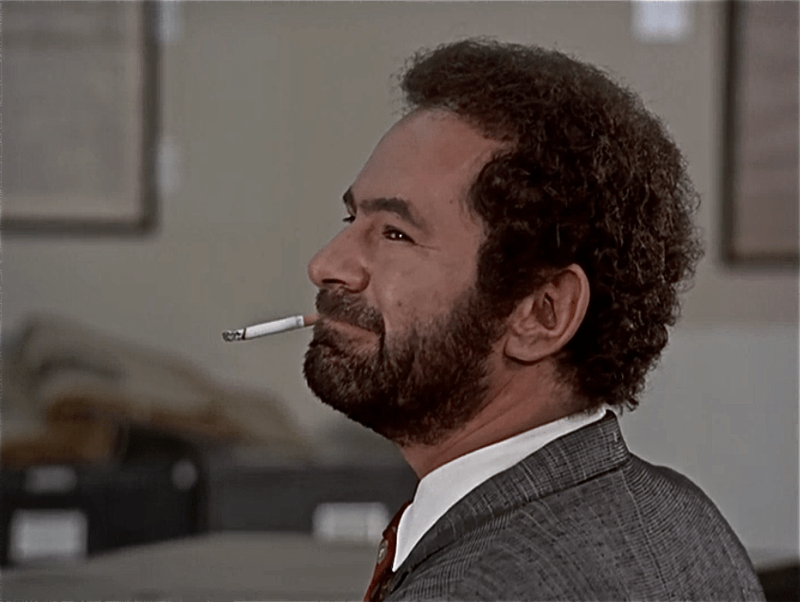 There’s only one Rocky on the Rockford Files, and that’s Noah Beery, not this guy. Beery’s Rocky loves to fish, but not to get blackout drunk on whatever whiskey’s lying around the cabin. Of course, pilot episodes don’t always have all the show’s elements in place yet. 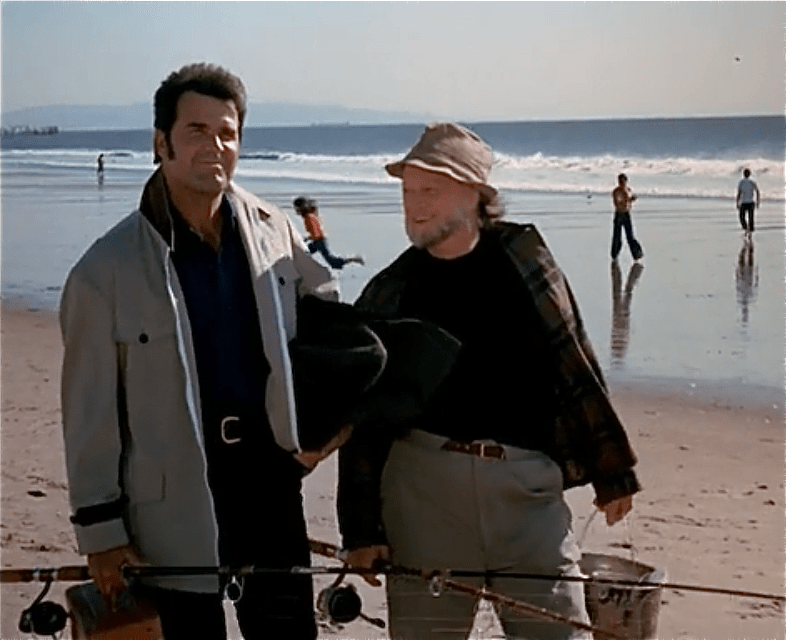 In fact, Rockford’s beach trailer is not in its normal spot either. It’s ensconced in a little Malibu parking strip wedged between the Pacific Coast Highway and the beach, rather than in the more secluded parking lot of Paradise Cove. The original site of Jim’s trailer, crudely photoshopped to show the PCH and the curve of the Bay. It’s worth taking a moment to consider the pilot’s trailer location, which is probably closer to what the show’s creators first had in mind. At the time, L.A. County’s coast from Malibu to Venice was still the domain of beach bums. Some were hippies, some were off-the-grid fishermen, but all were dropouts from the rat race. For Hollywood people, who were just beginning to colonize the Malibu area, the sight of all these American gypsies roaming freely upon the million-dollar beach lots must have captured the imagination in many exciting ways. When Malibu seemed like Venice. Person strumming guitar and middle-aged guy heading to beach are the typical traffic in front of Jim’s trailer. Note Jim’s Pontiac and Rocky’s truck. 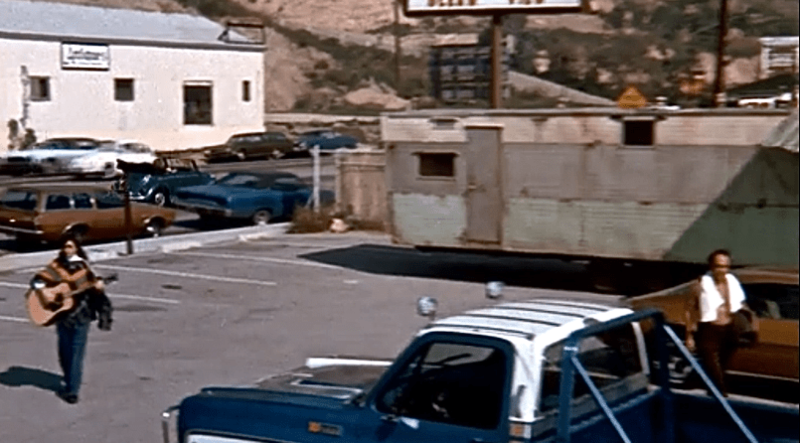 Once the show got picked up and had a budget, the site of Jim’s trailer became the Paradise Cove parking lot, which is more favorable for a TV crew and for choreographing tire-screeching car chases. 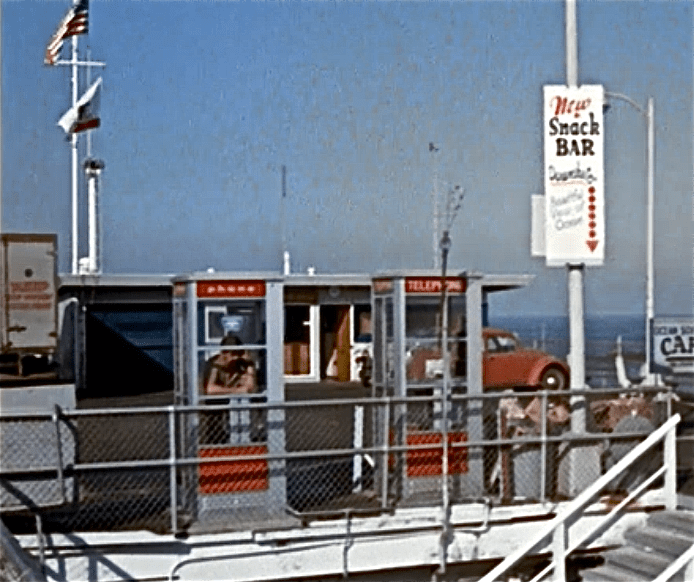 But the ramshackle trailer we’re presented with in this pilot episode, wedged into this very working-class roadside parking area as the whitecaps and the entire curve of Santa Monica Bay unfold in the background, is probably what the show’s creators originally sought. Similarly, Robert Donley’s gin-soaked, streetwise Rocky might be more of what they originally had in mind for Jim’s dad, rather than Noah Beery’s cuddlier Rocky. 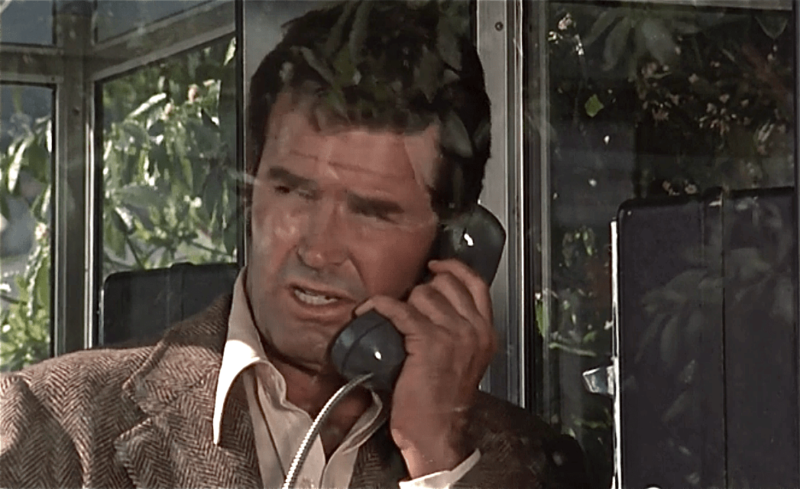 Two other longstanding Rockford tropes–$200 a day plus expenses, and going to jail for a crime he didn’t commit–are addressed at length in this pilot. 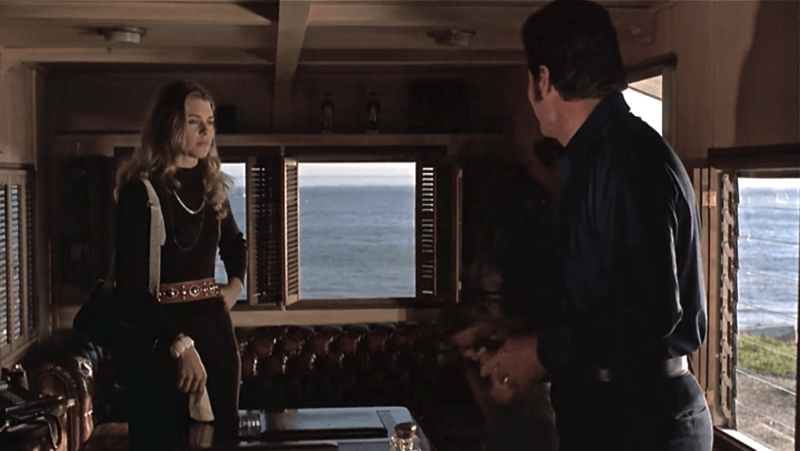 Sara Butler calls on Jim at his trailer, where Rockford flaunts most of the conventions of good customer service, negotiating as if her mansion is filling up with sewage from a busted septic line and he’s the last plumber on earth. Sara meets Jim and Rocky outside the trailer. Suspicious of the shoddiness of his operation, she is even more shocked by the steepness of his daily rate, an issue over which the two banter for the duration of the show. Sara isn’t afraid to ridicule the entries to Jim’s ‘plus expenses’ ledger either. Eventually, she confesses that she can’t afford Rockford, but he’s her last hope. Her persistence pays off and a trend is set: Rockford is on the case for a damsel in distress whether he gets paid or not. Sara and Jim discuss $200/day+expenses. Note the ocean view in every window. 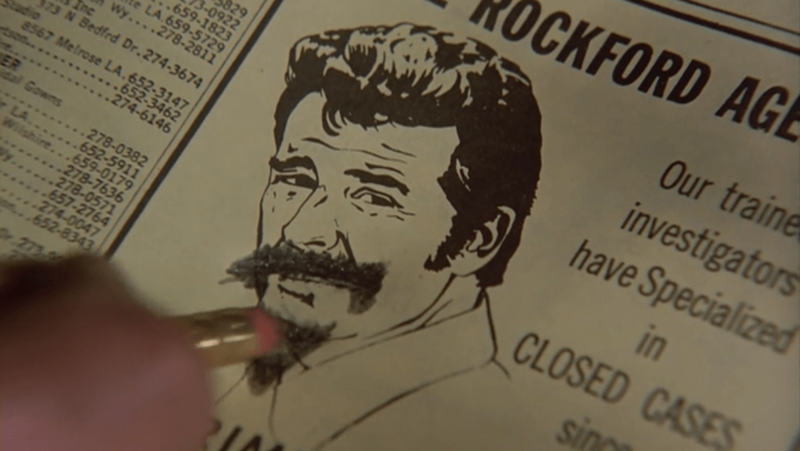 That most controversial and nebulous chapter of Rockford’s past, his prison time, is addressed head on. We are introduced to Angel Martin, Jim’s old cellie, who is now on parole and working for a major LA newspaper. We learn that while Jim was “sprung by the governor,” i.e. fully pardoned, Angel is out on conditional parole. After checking over his shoulder to make sure the coast is clear, Angel divulges to Jim sotto voce that despite his continual protestations of innocence throughout their time in the joint, he, Angel, really did do “that bank job” after all. Much to Angel’s frustration, Rockford continues to insist that he himself was innocent of the robbery charge for which he served five years. Bill Mumy has a brief role as a punk early on this episode, that’s punk in the classic hardboiled detective novel meaning of the word. Mumy is all grown up now and scarcely recognizable as the child star of Lost in Space or the creepy “wish him away to the cornfields” kid from the Twilight Zone. The femme fatale of this episode, Mildred Elias, is a recently widowed former show girl, who is supposedly so glamorous that men melt like putty around her. But at first glance she looks like Richard Speck in prison drag. This doesn’t mean she’s not a great femme fatale though. The actress who portrays Mrs. Elias, Nita Talbot, had a fifty-year career in television as old as network TV itself, starting in 1949. The bad guy in this pilot (played by muscleman William Smith) is pure over the top psychopathic evil. He looks like another arch-villain, Greg Marmalard from “Animal House,” on steroids. Jim goes to a restaurant that has a strict dress code and has to borrow a tie from the maitre’d. Jack Garner plays a brief, uncredited role opposite his brother, Jim. Future historians will marvel at the ubiquity of public phone booths in this pilot. 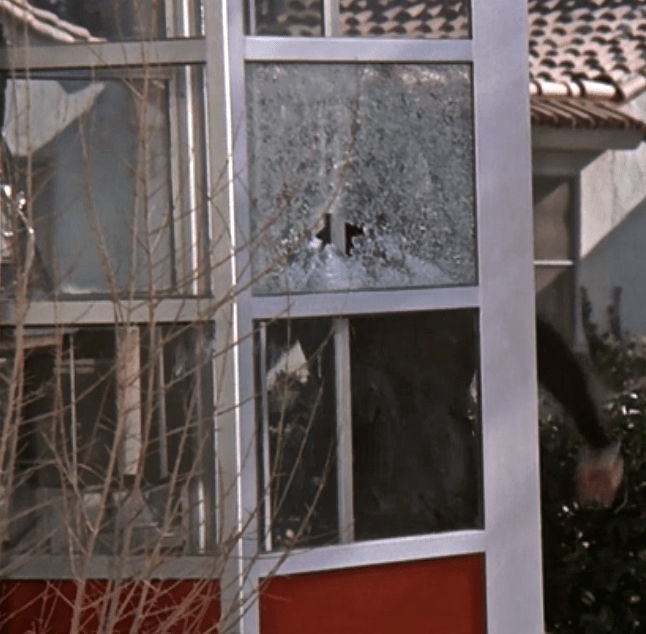 No fewer than four are placed conspicuously in the sightline throughout the episode, including a Las Vegas payphone that takes a bullet from the gun of Steroid Greg Marmalard. 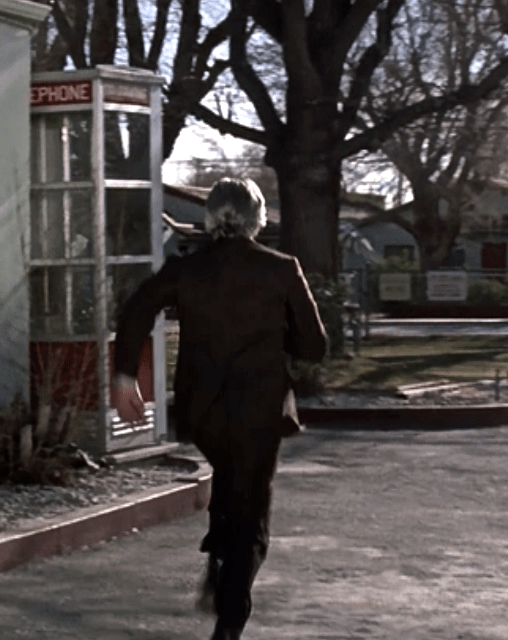 The phone booth on the left is about to take a bullet meant for this man. 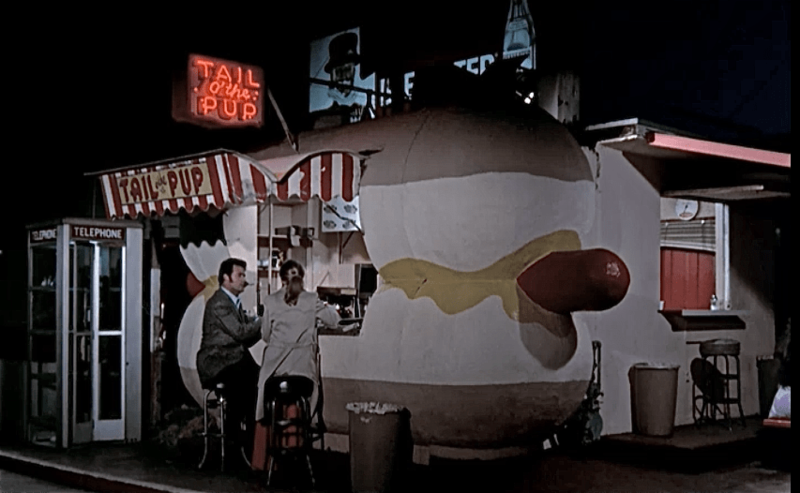 Jim treats Sara to hot dogs and coffee next to a pay phone. Cleaning up the phone book ad. In another scene Jim pulls over and uses a payphone to consult a client and simultaneously flip through the Yellow Pages to check on his ad. It’s uncanny how much this resembles checking your email while making a phone call. Phone booths were the closest things to smart phones in the 70s, places where you could pull over to the side of the road and conduct your multitasking and networking in plain view of the general public. The Gazzarri’s disco light looks eerily like a giant insect overlord. 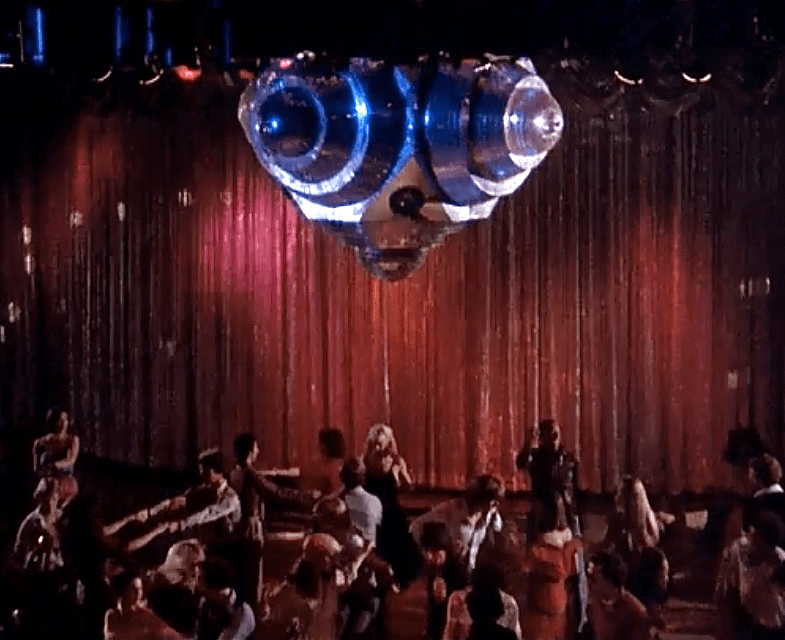 Is it just me, or does this disco light look like a giant insect about to devour the dancers below? 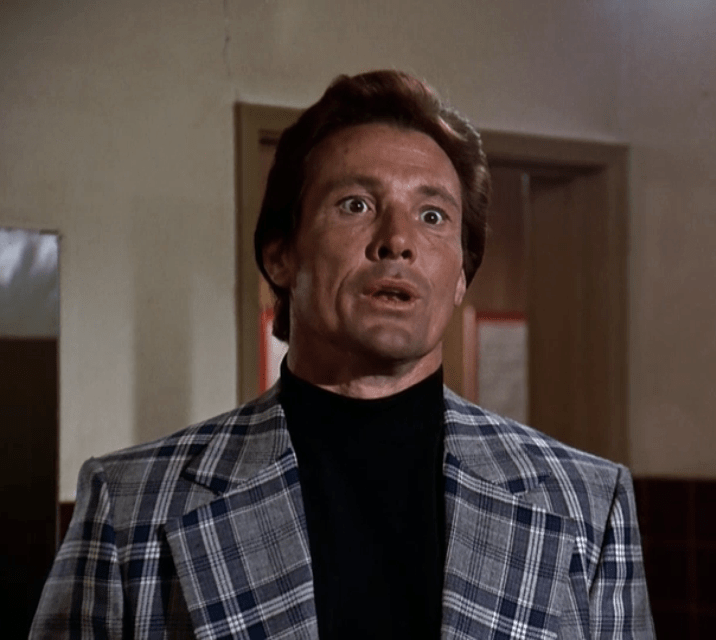 ← Jack Tripper: Was He Good for the Gays?